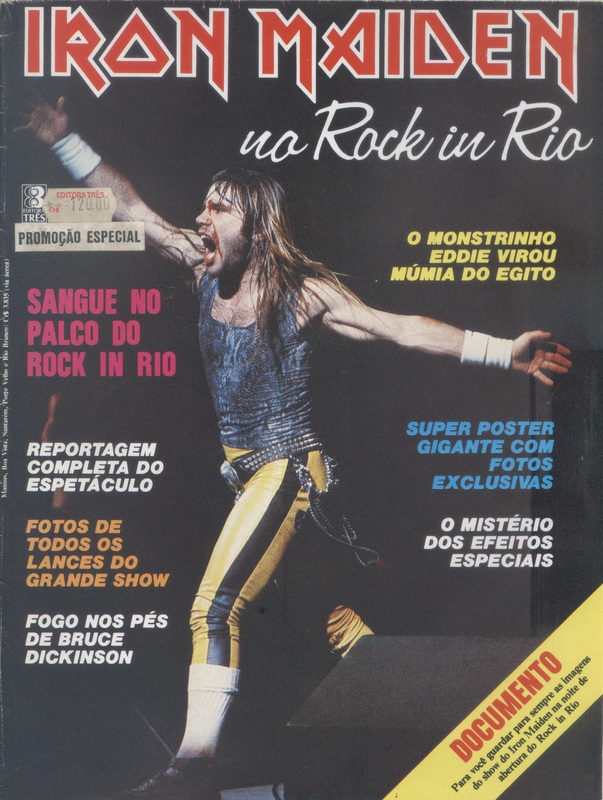 Having stood in the midst of the 300.000 strong Rock in Rio crowd in 1985, watching the magic first hand, Brazilian fan Fabian Oliveira now tells the tale of Iron Maiden’s triumphant march through Brazil. From the festival grounds of Rio, via giant stadiums and race tracks, to parking lots deep in the rainforest. And everything in between. Read on! Next September, Iron Maiden will land in Brazil for the 10th time. 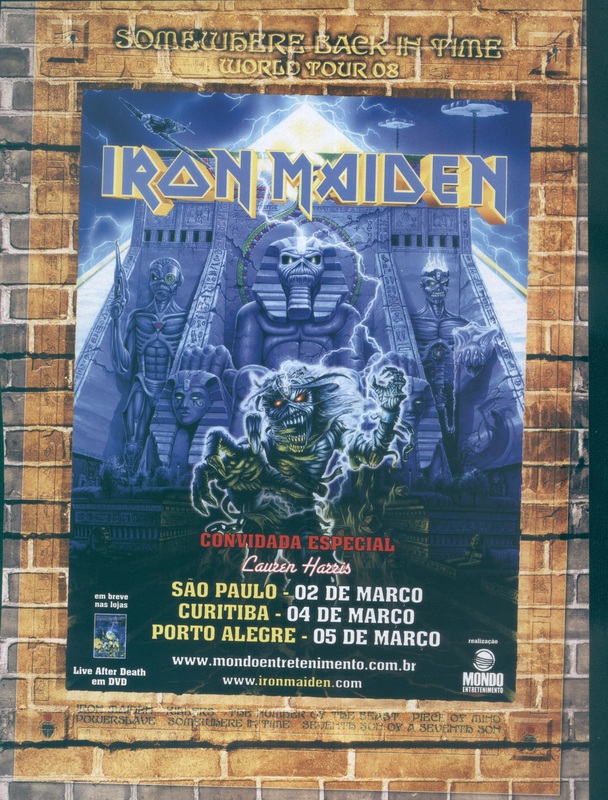 I guess it’s just the perfect occasion to reminisce about the old tours and the everlasting love affair between Maiden and their Brazilian fans. Is there anybody out there? 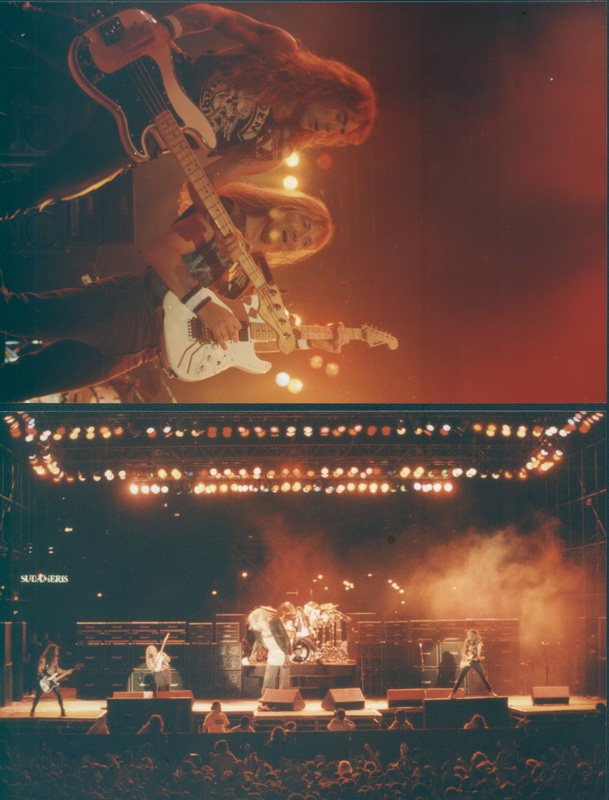 Iron Maiden play to their largest crowd ever at Rock in Rio 1985. Maiden’s first visit could not have been more effective than this. The band played in Brazil for the first time at the very first edition of the now legendary Rock in Rio Festival in 1985. Before touching on the performance, a bit of perspective: In 1985, rock shows with international bands in Brazil were few and far between. Alice Cooper played our shores in 1974, followed by Genesis in 1977, Queen in 1981, Van Halen and Kiss in 1983. Rock in Rio though, was another story: A huge 10-day festival, covered by live national television every single day and receiving massive media coverage all over the country. The event got a bigger meaning because of the election of the first civil president after 20 years of military dictatorship. It was an actual celebration of freedom, represented so well by the spirit of rock’n’roll. Maiden played the first day of the festival, above some Brazilian artists and Whitesnake, and second-on-the-bill to Queen. 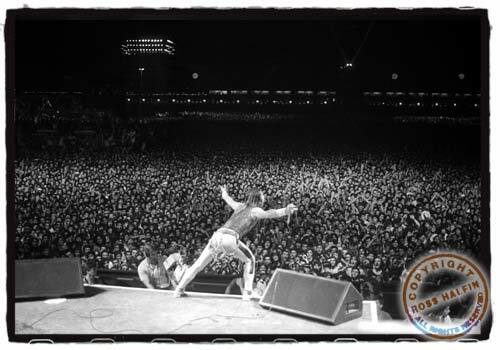 At the time, Queen was arguably the biggest rock band in the Brazilian market, which meant that the eyes of the whole country were turned to the show. As we all know, Maiden in 1985 was just an unstoppable machine and simply (power) slayed the 300,000 people in the crowd – still the biggest audience Maiden have ever played to. In the end it looked great on camera, both on TV and in pictures that were published in newspapers and magazines. After this somewhat clumsy start, the band just got on with the fantastic Powerslave set. Even if AC/DC, Queen, The Scorpions and Yes played great shows at the festival as well, Maiden was just the most powerful band of the whole cast. Being just 11 years old at the time, it made me a fan for life. Maiden’s love affair with Brazil was born, and there was no turning back after that. Scaled down stage set in São Paulo 1992, without even a single backdrop to hide the cityscape in the background. It took 7 long years for Maiden to return, but when they did their legend was intact. Unlike the US or the UK, grunge was accepted in Brazil but not at the expense of the older bands. It was not unusual for a new Brazilian rock fan in the 90s to like Nirvana, Pearl Jam and Soundgarden, and still love Maiden, Judas Priest and Black Sabbath. Also, from the first Rock in Rio on, a whole local metal scene emerged from the underground, with bands like Sepultura and Viper achieving global success. It also helped that Fear Of The Dark was very successful in the Brazilian charts, with Wasting Love being an unlikely radio hit here. The band played three concerts on this tour, all of them sold out. I got to see the São Paulo gig and, despite the total absence of production (not even a backdrop – you could see the buildings behind the stadium! ), the band played a rabid show with lots of energy, and most people commented how well Janick Gers fitted the band. By all accounts, the Rio and Porto Alegre shows were just as great – and they had all the backdrops as well! To finish, a little trivia: the Eddie used on this leg of the tour was actually the one from No Prayer On The Road. I guess the Fear Of The Dark one was kept in Europe for Donington and the other festivals. Top: Steve Harris and his weapon of choice. 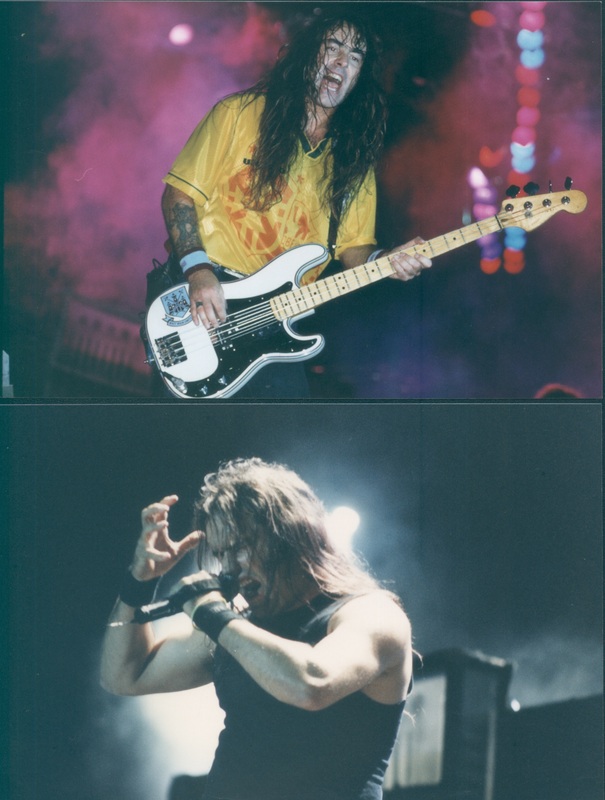 Bottom: Blaze Bayley trying to keep the pace in Curitiba during the The X Factour 1996. Then just 22 years old, I watched Maiden from the barrier playing their biggest concert on the X-Factour. Blaze Bayley was very nervous, but the band played a blinding gig and the whole stadium sang along with both classics and new songs. You could see the happiness on Steve Harris‘ face at the end of the concert. The tour continued with two additional concerts in Rio and my hometown Curitiba, with Motörhead, Skid Row and Helloween supporting. Final call: Blaze’s Iron Maiden adventure comes to an end in 1998. Although successful, this was a somewhat turbulent Brazilian tour. 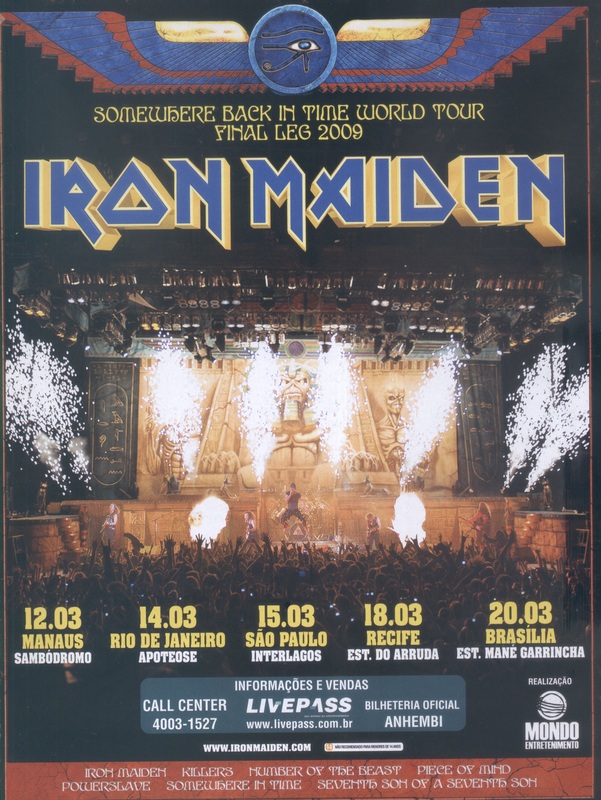 The problems started at the first gig in Rio, where a scorching heat in the venue and a way too laid-back audience prevented Maiden from playing an encore – for the first and last time in their career. 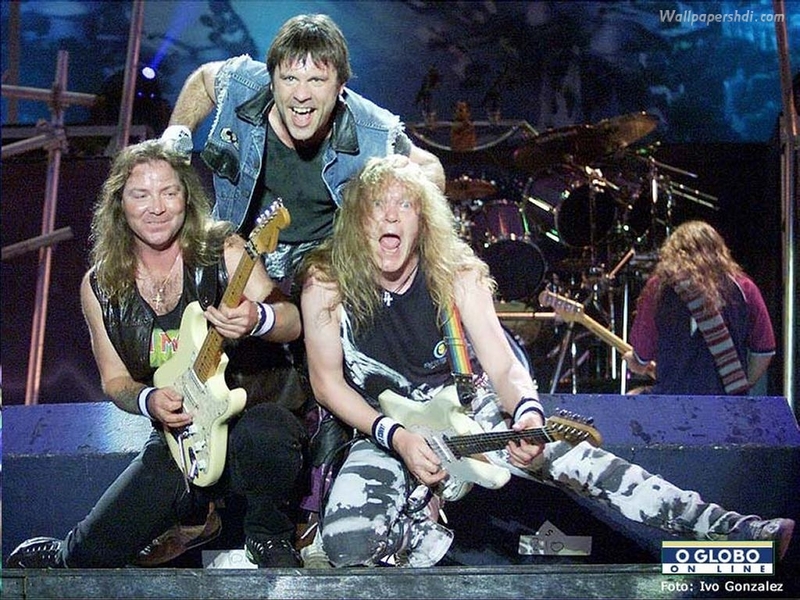 The next day, things got even worse: Maiden was to play for the first time in Campinas, but the promoter didn’t supply a barrier. There was no separation from crowd to stage, which obviously meant the fans could get seriously hurt. Since the barrier never appeared, the security team simply vanished and the show had to be cancelled. A riot started, with furious fans breaking lots of seats of the stadium. Thankfully the police arrived and no serious injuries were registered. The São Paulo gig, as usual, was very well attended, but really heavy rain spoiled a bit of the fun. The tour ended on a high note with a headlining performance for over 20,000 fans at the Skol Rock Festival, in the gorgeous Pedreira Paulo Leminski in Curitiba. Built in an old quarry, it was the chosen venue for a national TV broadcast from MTV. This concert has a very special place in my heart because I got to go on stage for Heaven Can Wait. I also was working as a reporter for a local TV station and had the pleasure of interviewing Dave Murray, definitely the nicest person alive. A day in the life: Iron Maiden with Bruce back at the helm entertaining a couple of hundred thousand Brazilians at Rock in Rio 2001. Brazilian fans remained loyal through the Blaze years, packing arenas and stadiums. But when the return of Bruce Dickinson and Adrian Smith was announced, the interest in the band got to a new high. Maiden was on the cover of every music magazine in the country and a whole generation of fans who never had seen Maiden with the classic line-up were crazy for a new tour. With an invitation to headline the third edition of Rock in Rio, it just made sense for Maiden to end the Brave New World Tour here, recording a live album and DVD as well. Maiden fans travelled from all over the country and South America to see the show. 150,000 of them! Most people think it was 200,000, but the organizers kept the tickets limited to 150k fearing riots or bad behavior from the metal crowd. Of course nothing happened, and the night had the least number of problems of the whole festival. I don’t need to tell you how great that concert was, we all have the Rock in Rio DVD. Being there myself, it was just unforgettable, really, as the band played with great intensity. Playing with Maiden that day were Halford, Queens Of The Stone Age and Brazilian metal heroes Sepultura. Rock in Rio 2001 was, like I often say to my friends, “our Donington moment”, very special indeed, and the band picked up a whole new generation of fans once again. 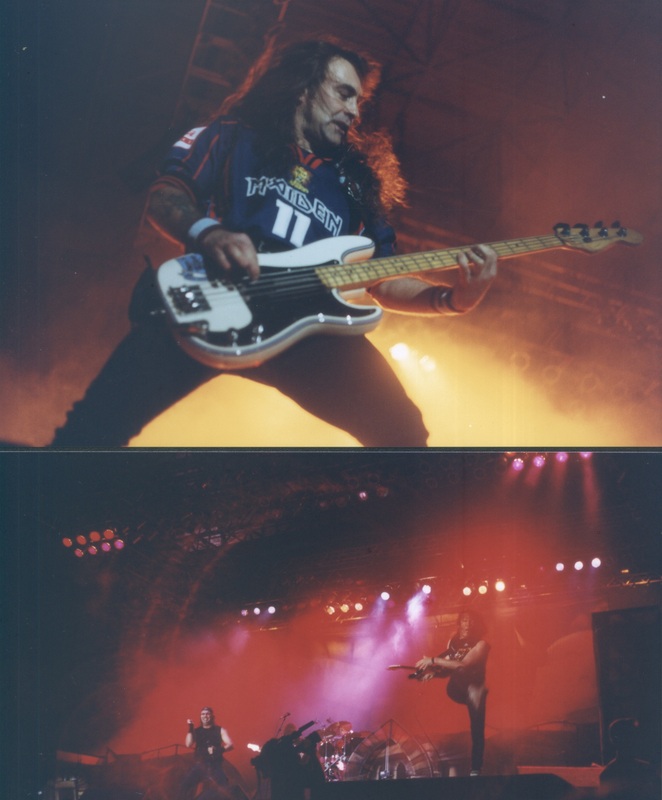 Iron Maiden brings the dance of death to São Paulo in 2004. 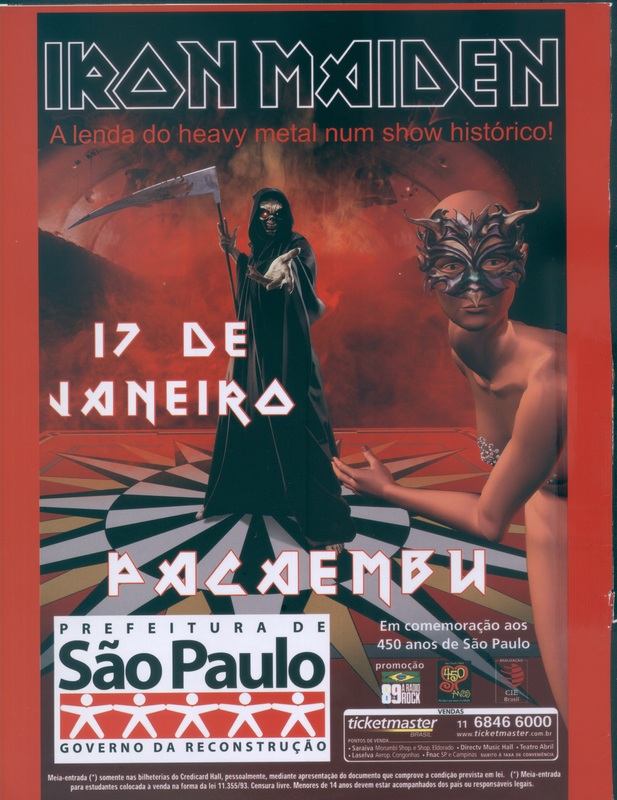 The Dance Of Death World Tour arrived in Brazil in January 2004. The first concert was in Rio and indoors as well, which was perfect for the theatrical nature of the show. Sold-out gig as usual and the band was very relaxed, playing great. When one of Nicko McBrain‘s drums got broken, Bruce entertained the crowd by doing the William Tell Overture with his cheeks. Great fun. In São Paulo, though, it was serious business with a sold-out show for 40,000 people at Pacaembu Stadium. Bruce even had to stop Wrathchild in the middle of the song because the crowd was pushing around too much and crushing the people at the front. The crowd was cool after Mr. Dickinson’s speech and the concert went on without a hitch, with Dance Of Death, Paschendale and Journeyman being the highlights of the set. We’re about to land! Ed Force One arrives in Brazil for the first time on the colossal Somewhere Back In Time World Tour in 2008. We missed Maiden for the Early Days and A Matter Of Life And Death tours, so the anticipation was huge for this tour. When it was announced that Maiden would come back with their own plane and basing the set on the classic Powerslave stageshow, the fans freaked out. The tickets were sold out in a matter of hours and the shows were very well documented in the Flight 666 movie. In São Paulo it rained heavily for 10 minutes before the concert, but as soon as Transylvannia was played through the PA, it stopped. Bruce slided on the stage as if he was wearing rollerblades. 15 minutes into the concert, it was pretty obvious that the band was playing better than ever. The Curitiba show was held once again in the Pedreira Paulo Leminski and saw a very relaxed band play what in my view was the best show of the Brazilian tour. Without the pressure of the heavy press scrutiny at the São Paulo gig, the band nailed a perfect concert. The same happened in Porto Alegre, were Bruce got a cell phone tossed from the crowd and (being the frustrated actor that he is) even “tried to call” his mom. The repercussion of these concerts were as immense as the Rock in Rio performances, which led to Bruce promising they would come back again the following year for an even bigger tour. Flying high again. The Somewhere Back In Time final leg in 2009. And so they did. 2009 marked the biggest tour Maiden ever played in Brazil, with a total of 6 sold-out concerts including first-timers in Manaus, Belo Horizonte, Brasilia and Recife. After starting the tour in the heart of the rain forest in Manaus, the band parked Ed Force One in Rio for not only a memorable gig at Praça da Apoteose, but also to do the world premiere of the Flight 666 movie. The event was held at the Odeon, a beautiful old cinema in downtown Rio. There were fans from all over the world at the premiere, and both Bruce and Nicko got on stage to say a few words to the fans. The São Paulo gig was also memorable, with 65,000 fans packing the Interlagos circuit. It rained heavily on the days before the concert, which means the conditions on the field were far from perfect. But after a 60 minute delay, to wait for fans still on the line to enter the venue, Maiden went on and did what they do best: playing the greatest heavy metal songs ever written. In Brasilia, all the guys in the band went out to visit the buildings of the capital or to get a drink at the nearest British/Irish pubs. The tour ended in Recife, a beautiful beach town in the northeast of the country. 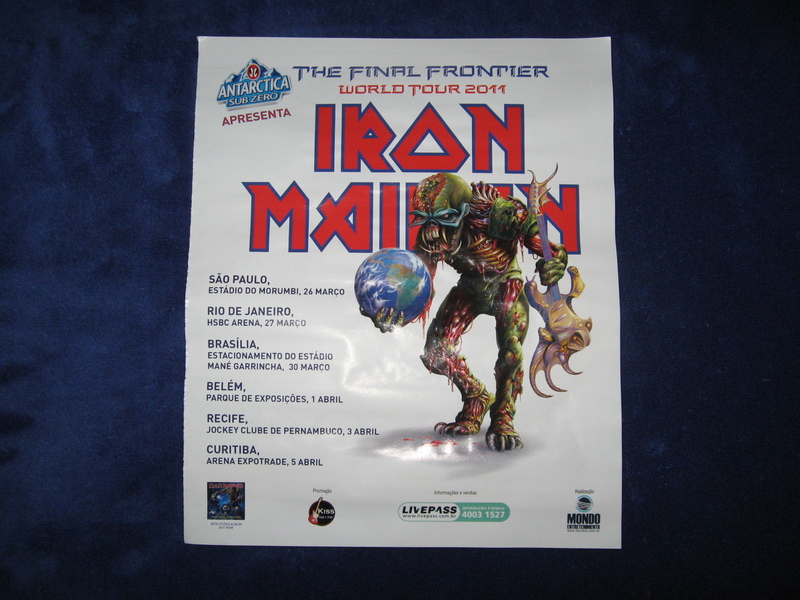 The Final Frontier World Tour comes to Brazil in 2011. When Ed Force One arrived in the country for the third time, people wondered if the band could repeat the success of the previous tour, since they would be playing mostly the same towns and the plane was not a novelty anymore. The answer to that was a packed Morumbi Stadium in São Paulo, the biggest in town. The show marked the first appearance of the Final Frontier Big Eddie as well, which was shipped from Europe for the gigs in São Paulo, Rio, Buenos Aires and Santiago. The next day was chaos in Rio, all fault of the promoters. First, they kept people waiting for hours until the doors were open. And then, as soon as Maiden hit the stage, the barrier collapsed. The concert was obviously stopped and postponed to the next day. Even with the heavy traffic on a Monday night in Rio, 95% of the fans came back for a great night out with Maiden in the new and modern HSBC Arena. Belem was a highlight as well, since it was Maiden’s first time there. It rained heavily before the concert, which was not a surprise to the locals because it happens every single day there in the summer months. On the last show of the tour, which was held in the Expotrade’s huge parking lot next to a supermarket, Bruce even joked with the customers who were getting out with their shopping carts. Lots of fun before the band went to Chile and Argentina to record the En Vivo! DVD and album. BOOM! The Maiden England World Tour comes to Brazil in 2013. So that leads us to the next chapter now, in 2013, with yet another Rock in Rio headline gig. The festival has moved from the 1985/2001 site, but it’s right next door, still in the Barra da Tijuca area. With the crowd limited now to 85,000, the tickets will surely evaporate. The gig will likely be broadcast on TV and online, and more fans will get on board. The question most fans ask now is if Maiden will play more concerts in the country on this tour. My guess is no, since festivals often demand unique dates. Time will tell. Solo wise, Bruce did 3 tours in Brazil and a live album called Scream For Me Brazil, and Blaze did 4 Brazilian tours (and will come back again in January 2013). Paul Di’Anno played nothing less than 13 tours or special concerts here, and also lived in São Paulo for some periods. Nowadays, it’s safe to say that Maiden are one of the most successful bands ever in Brazil, and the vibe of the shows are always amazing. There’s a passion for all things Maiden since the mid-80s that just gets stronger year by year, uniting 3 or 4 generations of rock fans. The Rock in Rio show will surely be a celebration of all this success and, of course, the music we love so much. 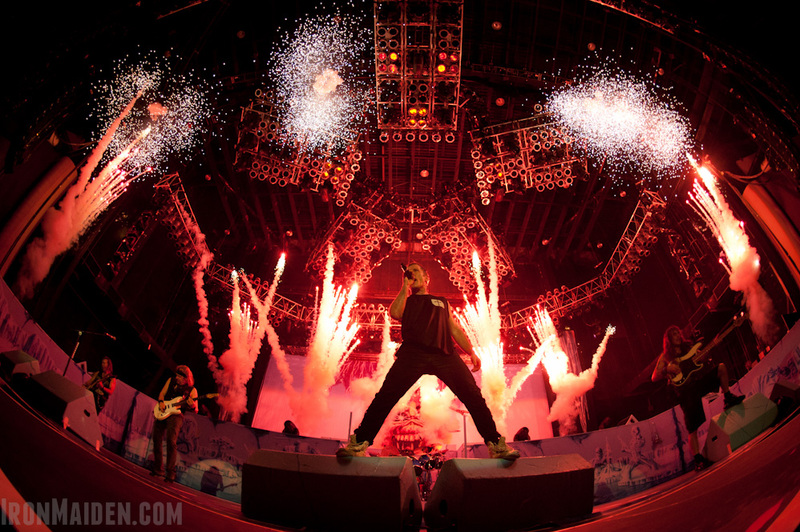 ← Iron Maiden outsell Justin Bieber in Frankfurt. Second show added.